It's been rumoured for a while now, but there seems to be a belief that Las Vegas is zeroing in on Marc-Andre Fleury as their franchise goalie. The Pens couldn't find a taker for Fleury at the deadline, but the Stars and Flames have shown lukewarm interest in the past. After getting eviscerated by coach Bill Peters, it's no shock that the Eddie Lack rumours have started to crop up. Carolina might be hard pressed to move him though - there's going to be a deluge of goalies on the market this summer. 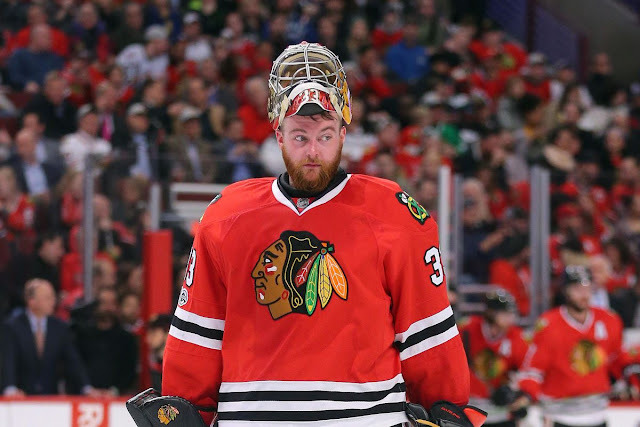 Scott Darling is likely headed to free agency, and there won't be any shortage of interest. Among the teams expected to make a pitch is the Dallas Stars. They'll have to do something with Antti Niemi or Kari Lehtonen first, though. With Ben Bishop headed to market in the summer, the Kings will be on the hunt for a backup who can play some games. Ryan Miller, whose wife resides in Los Angeles, might be their top choice. There's a growing sentiment that Joe Sakic might not be back next year as Avalanche General Manager. The Avs will have to decide soon who they want in charge of the potentially franchise-altering trades of Matt Duchene and Gabriel Landeskog. Both could be on the move as early as this June.